He’s back. Should I care? I know, I know. This is a New Naipaul Novel; if you’re really into alliteration, the New Naipaul (Nobel) Novel. Given the number of times I’ve reread A House for Mr Biswas and the affection The Suffrage of Elvira, Miguel Street and much of the early work still inspires, there should be joyous hallelujahs or some such. 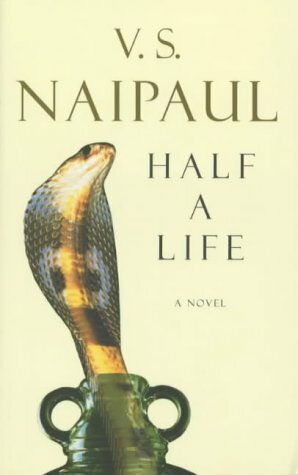 But Half a Life was such a disappointment that I’m not even sure I want to read about the continuing life and times of Willie Chandran. Magic Seeds, thank heavens, doesn’t have the Exotica Cover–cobras, forsooth-that the Picador edition of Half a Life sported, but it has…the Jacket Literal instead. Cue picture of cupped hands. With seeds, presumably magic. Them people who get to work on Nobel-prizewinning authors sure do use their imagination. Me too, I read the Hose of… and man as a youngster I was awed. Then mauch later got a chance to go back to him, Wounded Civilization and others… disappointing.If only he was half as good at history as he is at writing. But the pavlovian rat syndrome strikes….. I will find myself pickng the book when it comes to stores here. Despite the disappointment, by now almost inevitable in both cases, I always buy the “new Rushdie” and the “new Naipaul”; it’s the triumph of hope over experience.